Christine says, Don't leave Salt Lake City without a dinner at Takashi. Salt Lake City is world-famous for its incredible skiing. But during the warmer months of the year, the incredible Wasatch Mountains turn into a five-star playground for cyclists. Whether you're into long road bike tours, downhill mountain biking, cross-country singletrack riding, or commuting to work by bike, you'll find a wealthy lifetime's worth of riding here. 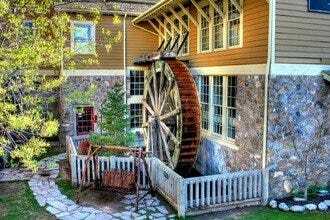 And you needn't look farther than the canyon roads and trails, and ski resort slopes. Because of this incredibly large and diverse selection of biking terrain, Salt Lake City has an abundance of excellent bike shops. Some focus on road racing, others on commuting. Some specialize in high-end, specialty bikes, and others maintain a spread of prices and styles. Whether you're a wide-eyed beginner or a hardened expert, you'll find a shop that suits your needs. All of Salt Lake City's bike shops are open Monday-Saturday and are closed on Sundays. So if you want to get some riding done on Sunday, you'd best visit one of these shops earlier in the week. If you're just visiting in the area, don't be shy about asking the staff at these shops for ride recommendations. Though valley temperatures in May can be quite warm, mountain canyons and trails can remain cool and muddy until July. Additionally, many shared-access trails (in Millcreek Canyon and City Creek Canyon) only allow for biking on certain days of the month. 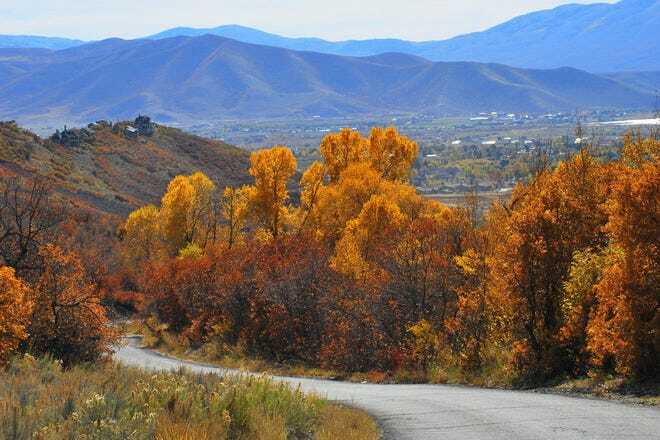 For an excellent summary of the road rides in the area, look online at Salt Lake Cycling's website; for detailed descriptions of mountain bike rides in the area and across the state, check out Utah Mountain Biking. Highland Cyclery offers both bike sales and maintenance. Their retail fleet contains road, mountain, children's, and BMX bikes. These have been manufactured by Trek, Ellsworth, FITBIKECO, Redline, and Diamondback, and were assembled in-shop by the expert mechanics of Highland Cyclery. If purchasing a bike at Highland, you will be given an in-depth fitting session. Even if you already own a bike, but want to fine tune your measurements, you can bring in your old machine. The experts at Highland will go over the basics of fitting with you and help you determine whether you need to make any adjustments. Highland is family-owned and operated. Cyclesmith is different from other Salt Lake Valley shops in that its first focus is on repair. That said, this shop still stocks an impressive inventory of bikes and accessories for sale. Cyclesmith carries Bianchi, Eddy Merckx, Salsa, Felt, Raleigh, Moots, Masi, and Van Dessel bikes. Their fleet includes both new and used road, mountain, fixie, cyclocross, and crusier bikes. Here you can also purchase bags, locks, clothing, gloves, and components. Cyclesmith focuses on not only maintaining a knowledgeable and experienced staff, but also a friendly and welcoming attitude. 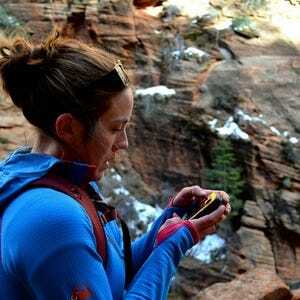 Check their blog to read about recent and upcoming events around the Wasatch Region. 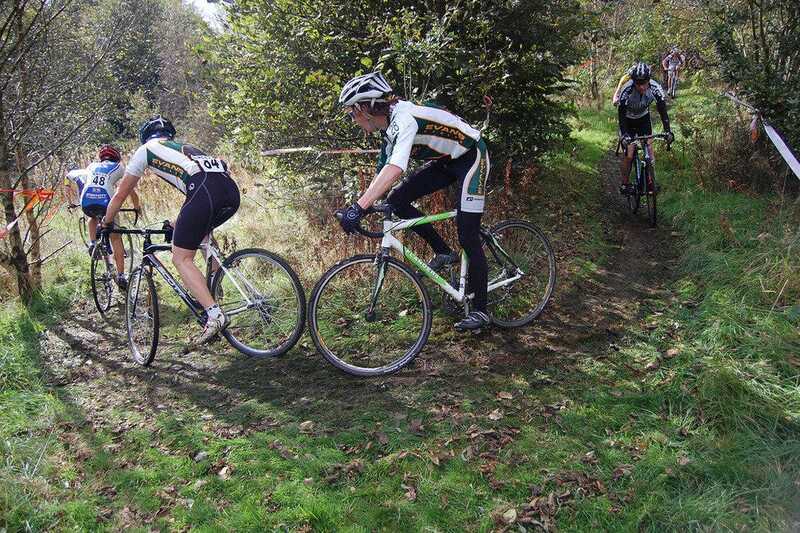 Many bike shops specialize in mountain biking or road racing -but not Saturday Cycles. they focus on bicycling as a lifetime endeavor and as a healthy means of transportation. Therefore you'll find their store to be ripe with exactly that type of bike. With a general emphasis on comfort, this shop preferentially carries handcrafted steel frames. Still, within this category, they offer a wide spectrum of options, including affordable and expensive units, as well as simple and exotic. Tune-ups are available, too. 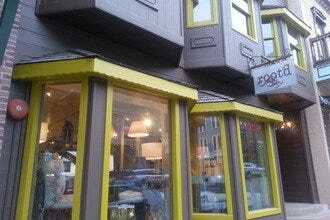 Anyone will find this small, down-to-earth shop friendly and inviting. If you're looking to escape from the often elitist attitude pervasive in the world of cycling, this is the store for you! 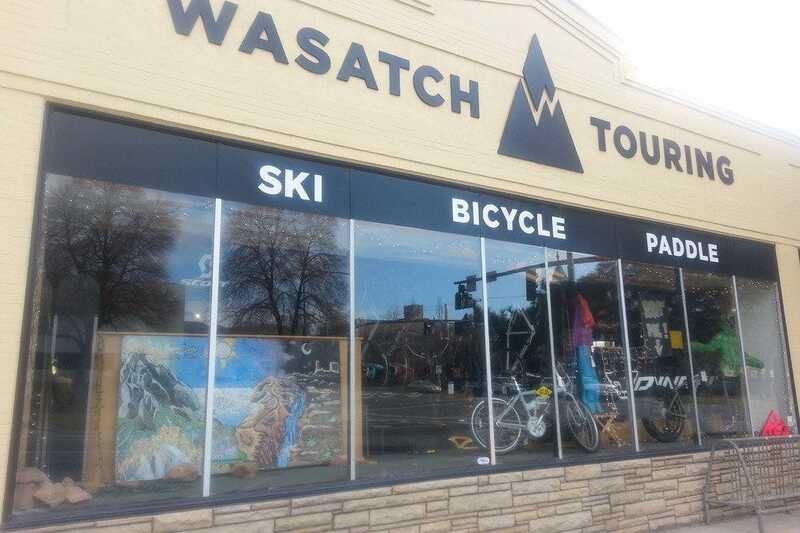 Wasastch Touring is Salt Lake City's staple store for outdoor goods. In operation since 1972, this has been locally-owned for four decades. Selling goods for both summer and winter "out of bounds" mountain play, they offer equipment totally in line with their name. For snow sports, they offer split boards, telemark skis, and avalanche safety equipment. In summer they sell biking, kayaking, and climbing equipment and accessories. You can also purchase and rent bikes, kayaks, and climbing shoes here. 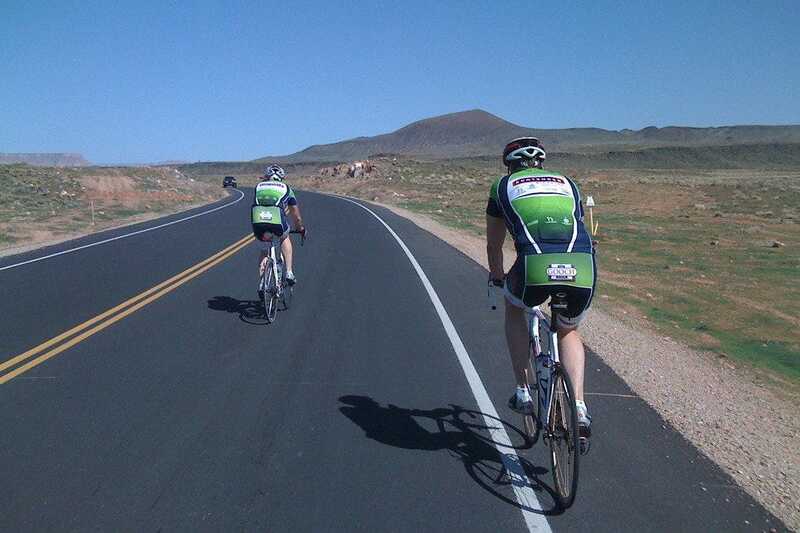 Wasatch touring operates a service shop for bikes in need of repair. If you're looking for a little of everything, this is the shop for you. Bingham Cyclery is a highly-active, community-oriented bike shop that not only sells and maintains bikes, but also organizes and supports events and promotes general awareness of fitness and the sport of cycling. 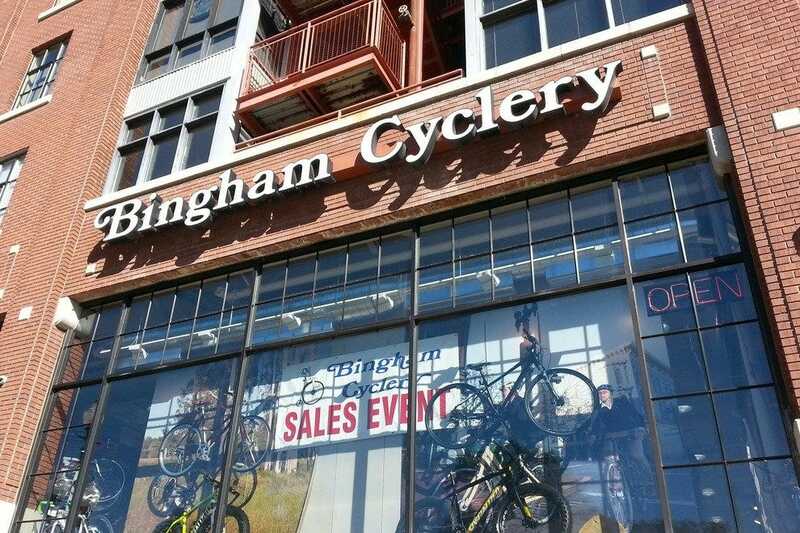 Bingham sells a wide variety of bikes, including those made by Electra, Scott, BMC, Ibis, Surly, Co-motion, Independent, Se bikes, and Specialized. Not only do they carry road and mountain bikes, but they also sell BMX and tandem cycles. Bikes at Bingham have been assembled by experienced mechanics and are guaranteed by the store itself. 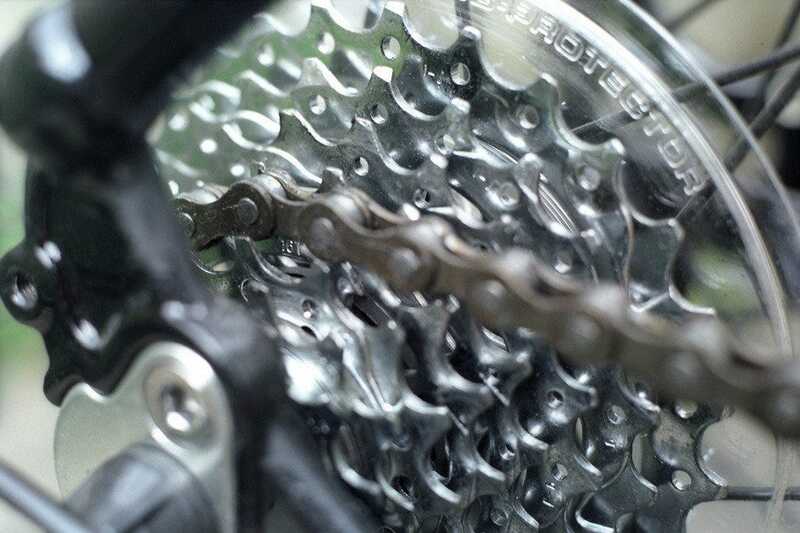 Bingham's website contains a "how to" section that details solutions for many situations, including fixing a flat tire, patching a tube, lubricating a bicycle, boxing a bike, "climbing like a champ," and adjusting a rear derailleur. 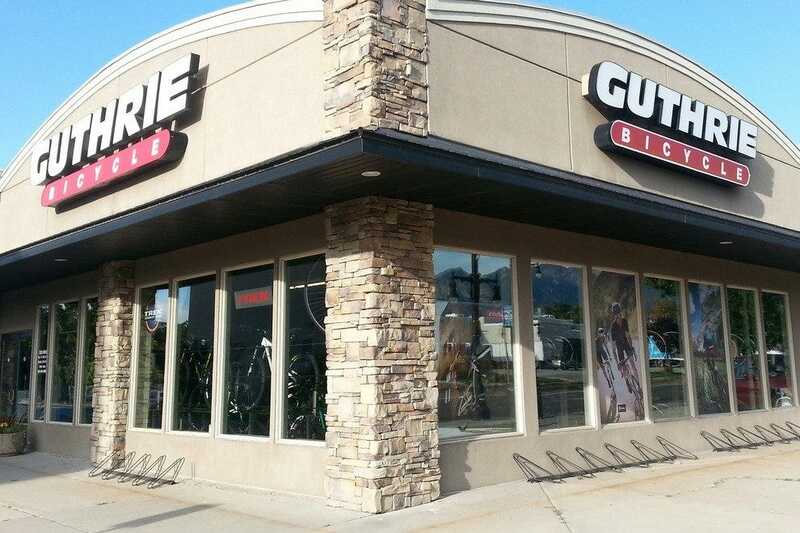 In business since 1888, Guthrie Bicycle is not only the oldest bike shop in Salt Lake City, but is also among the oldest (and is possibly the oldest) in the entire nation. In fact, Guthrie was in operation for eight years before Utah even became a state. During its tenure, Guthrie has seen every type of bike from the high-wheelers of the 19th Century to the 15-lb super machines of modern times. 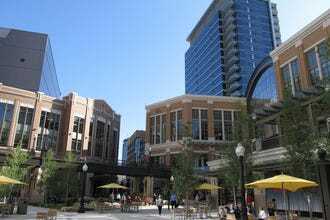 Today Guthrie sells Santa Cruz, Raleigh, Cervelo, and Trek bikes. Their models include mountain, road, and commuter/ comfort bikes, as well as children's models. For really young kids, they also offer trailers. Guthrie also services all type of bikes and offers a fitting service. 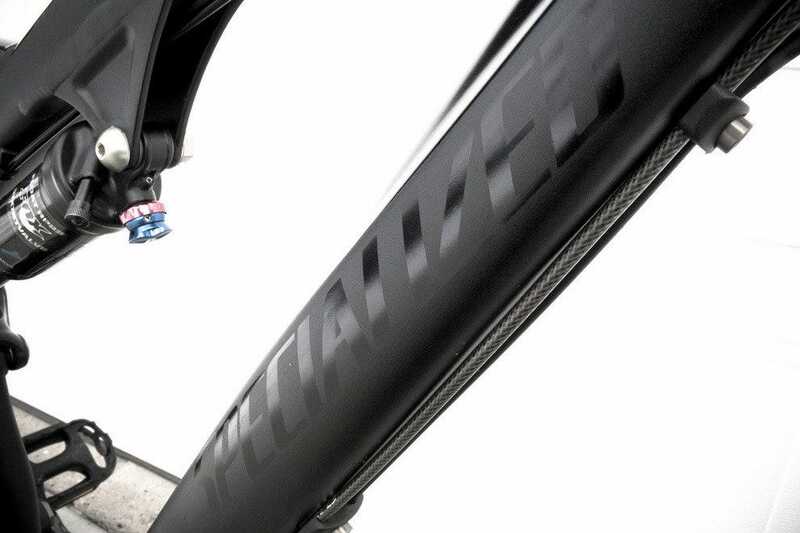 Contender is Salt Lake City's most elite bike shop, specializing in high-end road bikes. If you're looking for an entry-level cycle or a low-cost setup, this store is not for you. But if you're a serious rider looking for the perfect machine to cut your race times, then you'll be in heaven here. In trying to carry only the finest machines, Contender stocks selected models from the great European makers, TIME, Ridley, Focus, Scott, BMC, Pinarello, and Orbea. When purchasing a bike here, you can be assured the best fit possible, as you'll be extensively measured in the Contender Biomechanics by Orbea Fit Studio. Additionally, Contender stocks a vast amount of road riding-related supplies and accessories, including clothing, components, tires, and maintenance equipment. The Bicycle Center sells Specialized bikes only. But though they carry just this brand of cycles, they stock quite a diverse spread of them. Offering many choices of mountain, road, and leisure bikes, this store is staffed exclusively by mechanics and sales persons with expertise in this brand. 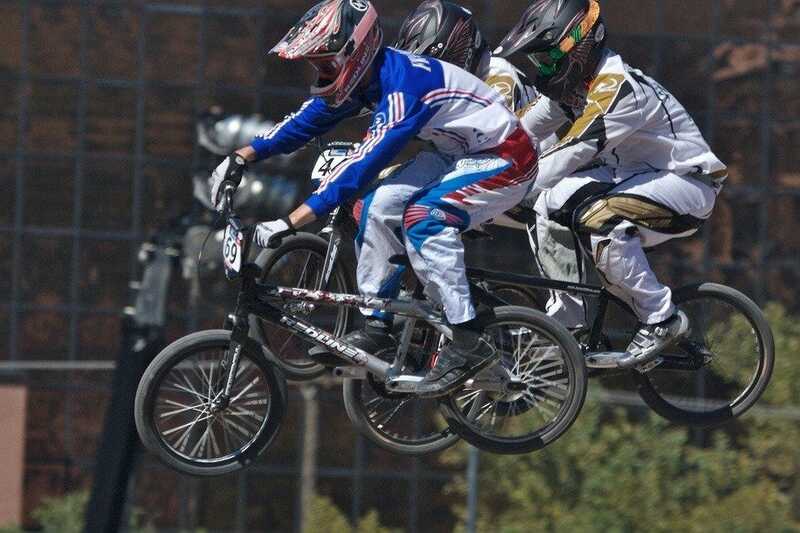 Therefore they assure you excellent advice, fitting, and services specific to Specialized bikes. 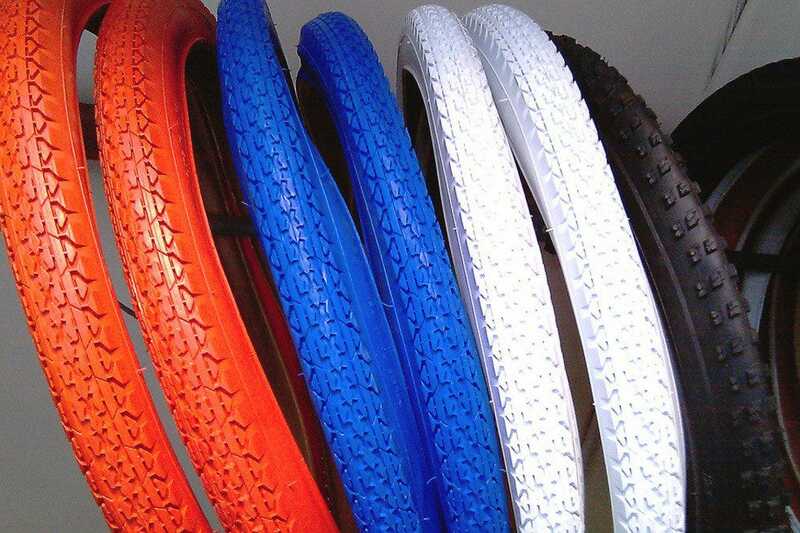 In addition to complete bicycles, the Bicycle Center offers various accessories. These include components and parts, cyclocomputers, nutrition items, helmets, lights, trainers, bar tape, locks, and clothing. The Bicycle Center has a club and offers group rides, usually departing from the shop Saturday and Sunday mornings at 8am during cycling season. Fishers Cyclery is a rather small bike shop on the western end of Sugarhouse. Tucked in the far corner of that busy neighborhood, and well outside of downtown, this shop is easy to reach, and convenient to park near. 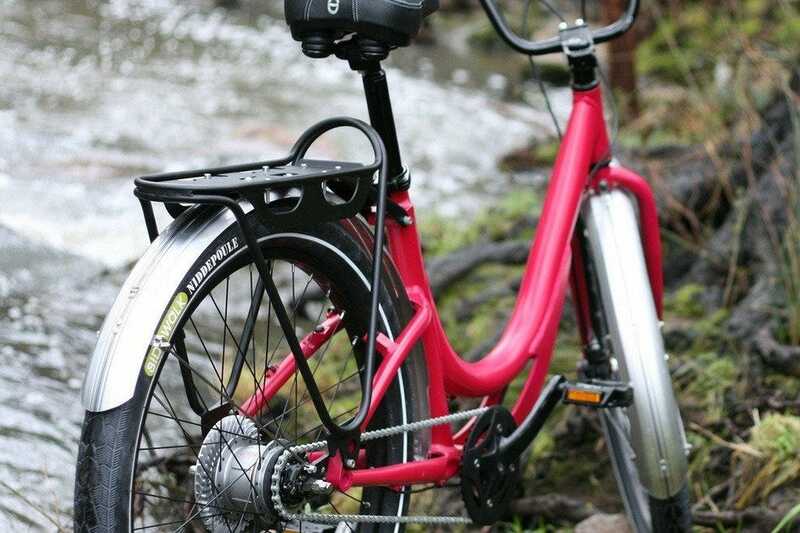 Fishers sells Giant and Rocky Mountain road and mountain bikes, as well as a fleet of cruiser and urban cycles made by Electra. They stock Campagnolo, Shimano, SRAM, and Bontrager components, and a wide range of accessories, including Camelback. Additionally, Fishers has a repair and maintenance center that works on any type of bike. Established in 1930, Fishers is one of the oldest bike shops in the Rocky Mountains. Located in the direct center of downtown Salt Lake City, Salt Lake Bicycle Company strives to serve every kind of cyclist. Whether you're a rank beginner or a true veteran of the sport, you'll find the service here to be excellent and accommodating. Salt Lake City Bicycle sells mountain, road, cyclocross, commuter, comfort, cruiser, hybrid, children's, and BMX bikes. In addition to the shop, the Salt Lake City Bicycle Company offers a complete bike service center, as well as professional fitting services. Fans of Trek Bikes should know that this is a Trek Concept Store, meaning they can provide quick special orders, best pricing, and certified service.